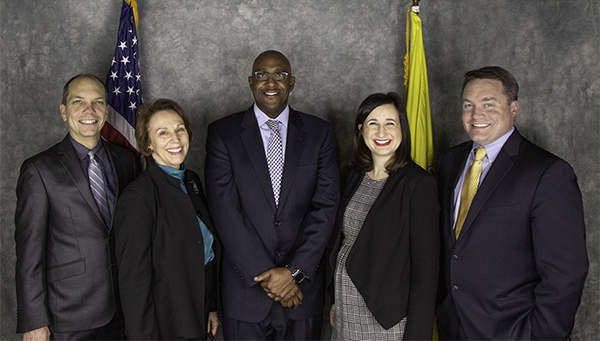 Left to right: Member Erik Gutshall, Vice Chair Libby Garvey, Chair Christian Dorsey, Member Katie Cristol, Member Matt de Ferranti. The five-member County Board is Arlington’s governing body, vested with its legislative powers. Board Members, elected at large, serve staggered four-year terms. The positions of Chair and Vice Chair rotate annually. The County Board elects the Chair and Vice Chair at the January Organizational Meeting. The Chair is the official County head and presides over Board meetings.